Lebanese Prime Minister Announces His Resignation From Saudi Arabia, Blames Iran And Hezbollah 4.3333333333333 out of 5 based on 6 ratings. 6 user reviews. On Saturday, Lebanon Prime Minister Saad Hariri announced his resignation from Saudi Arabia via the Saudi Al-Arabiya TV. During his resignation speech, Hariri directly criticized Iran and the Lebanese Hezbollah party. “We are living in a climate similar to the atmosphere that prevailed before the assassination of martyr Rafik al-Hariri [Saad’s father]. I have sensed what is being plotted covertly to target my life,” Hariri said during his televised speech. 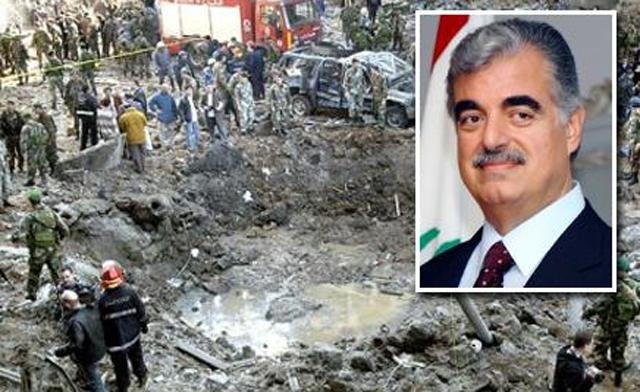 Hariri also accused Iran of wreaking havoc in Syria, Iraq, Yemen and other Arab countries. He went on and some sides of plotting to assassinate him. “I have sensed what is being plotted covertly to target my life,” Hariri said. Hariri resignation was criticized by most Lebanese politics for the lack of realistic reasons, especially that the situation in Lebanon is now calm. Many Lebanese public figures also criticized the fact that Harrier announced his resignation from Saudi Arabia, not Lebanon. Meanwhile, the Lebanese presidency announced that Hariri informed Lebanon President Michel Aoun of his resignation over the phone before announcing it. The presidency added that Aoun will discuss with Hariri the circumstances of his resignation, when he returns to Lebanon from Saudi Arabia. Hariri’s decision to resign was clearly motivated by Saudi Arabia for some reasons. Even the Lebanese Future TV, which is owned by Hariri had not known in advance of the resignation, or even broadcasted Hariri’s speech. The resignation of Hariri will likely create a long standing political problem in Lebanon. Previously, Lebanon stayed for a two years term without a president before the Lebanese parties reached an agreement and elected Aoun on 31 October 2016. So are we to assume he is Sunni , following orders ? No he is Jesuit trained Vatican stooge. He follows Jesuit orders. Thanks, makes sense now, was wondering what kind of person abandons his country like that. Definitely a sunni mohammedan regardless of his “education”. Nope. Education matters more than your ancestry. You are born with on ideology into this world you get it through education. You are right that you are a blank slate when born. You do getbvalues etc from education and family .i think his sunni muslim values trump his jesuit education every time. Moslems very rarely acquire more than just a veneer of western christian worldview. As for vatican, they are tainted wirh giving nazis sanctuary even when they slaughtered native italians ! Mladwn, just a few things. The video is long! Already five mins in and he has made mistakes and omissions. He does not mention khadija was jewish and he says her friend was roman catholic. Not true.although before formal schism of the churches ,this part of world was in orthodox sphere of influence. His accent is south african and his name and looks suggest he is jewish. So overall ,speaker is either jewish or prob calvinist protestant.if jewish, he probably was embarrassed to say that a jewish woman gave mohammed his big start in life as did the jews of arabia at the time. Nothing changes, sauds and israelis still pretend to be enemies but are pals. -Islam is not an exclusive religion, anybody can go and see the kaaba in islamic lawl, it is just saudia arabia’s polic;y that does not allow christians to go to the pilgrimage. How can the religion be so exclusive when 20% pf the worlds population practices it, and promotes converts. -The Islamic symbol came from the Ottoman empire in the 1800’s, since it controlled almost all of the muslim territory and so people began to associate Islam with the ottoman empire’s flag, the sickle and the moon. ASTAGHFRIULLAH! (Ask forgiveness from God) This man is crazy! Islam is very strictly monotheistic, and there is no one comparable to him. In one of the smallest prayers in the quraan it says something like “Say that god is one. God is only. He was not given birth to. and did not give birth to. And he has no partner comparable to him” I need to know this guy’s sources. -Islam has nothing to do with paganism, and quite the opposite, hates it. Before Islam, ,most people were pagan in arabia, and mohammed converted them to islam. There are no similarities between the pagans and the Islamic religion that preceeeds it. After this I can no longer understand him, the stuff he is talking about has nothing to do with islam. I agree with a lot of what you say but not all. One, non-muslims were not able to visit arabia and mecca and medina etc on pain of death from ottoman times not just saud times.that is why many christian explorers visited under cover .in english we still say ” in mufti” to mean “under cover” or disguised identity. Secondly, sickle moon goes back even further than ottoman to byzantium ,ancient greek city even before byzantine empire . It is true that kaaba was pagan shrine with idols and people would throw stones at them for religious reasons before mohammed. Arabia was mixed in mohammed pre islamic time.many christians ,many jews and many pagans still.christians formed a large empire ghassanids? If i remember well enough. You sound like somebody who has been heavily indoctrinated. Perhaps you need to know Islam better. Every ideology must be tested. Nothing should be taken for granted. It’s your duty and privilege to inform yourself. Often religious people are not capable of rational thinking because of their prejudices. And I’m not talking about so called “rational thinking” which denies the existence of God or anything supernatural. See what the Son of God said ~600 years before Islam appeared. “the time will come when whoever kills you will think that he does the will of God.” “And I say unto you my friends be not afraid of them that kill the body, and after that have no more that they can do.” I seriously doubt in truthfulness of God who expects from his followers to impose his religious dogmas on others at death penalty. This is what Jesus has said:”But I said unto you, love your enemies, bless them that curse you, do good to them that hate you, and pray for them which despitefully use you, and persecute you.” And please don’t get angry but rather use you thinking. If people fallowed the Son of God there would be no enemies, on hatred, no mindless killings in the name of God. So what’s the reason for the existence of Jesuit institutions? Are they established by Vatican “regardless of education”? Mladan, i have no great liking for the jesuits or the vatican. I believe he went to jesuit school simply as it is most prestigious education in the area .it is also where all the elite go. Same as how some jews go to christian type colleges in australia,south africa and canada. wahbabism is not Sunni, but claimed as Sunni.. just as Neocons Christians claimed to be Christian.. Same way/method of Khazars claimed to be Jooz..! …part of the problem, the plot has failed so he ran home to his protectors to spill his vomit. Without shame, he uses the name of his father who he is complicit in killing. involved with others in an activity that is unlawful or morally wrong. Correct and all roads lead to Rome. If I remember correctly his business interests in Saudi Arabia have been doing miserably and there were times when he couldn’t pay his staff. Follow the money. Lebanon PM Hariri resigns, citing Iran’s ‘grip’ on country and threats to his life. I think Hariri is trying to mislead the world. Hariri blamed Iran and Hezbollah because Israel are worried that they cannot win from Hezbollah and Iran and after next war there will be no Israel. Moreover, this was Hariri that allowed Israeli planes to airstrike on Syria. Iran and Hezbollah both have defended Lebanon, Syria and Iraq and if time comes so then they will defend other Muslim countries too without descrimination of sunni or shia. March 14th Movement should be given a one-way ticket to hell. One of the “colour revolutions”, triggered by this SoB’s fathers death. Think of it similar to whats in Ukraine was “Orange Revolution” and CIA-Maidan, or “Rose revolution” in Georgia. Essentially a very very awful moment in lebanese history. And so another domino falls.